Good: The best looking Panini product ever, Lots more rookie cards then in years past, Good value, Affordable, 4 hits per box. Bad: Limited big hit potential, Of the 4 hits per box, count on at least 1 or 2 of them being one-color jersey swatches, Lack of quality insert sets. 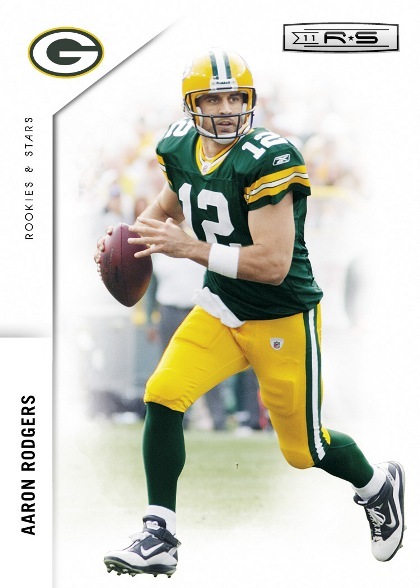 The Bottom Line: 2011 Rookies and Stars Football is one of the best looking sets of 2011. Panini has also done a good job of honing their vision for the brand. It's finally a legitimately rookie centric product that is worthy of its name, sporting all-rookie hits and a base rookie card in each pack. But don't expect to pull any white whales, as the big hit potential is rather limited. 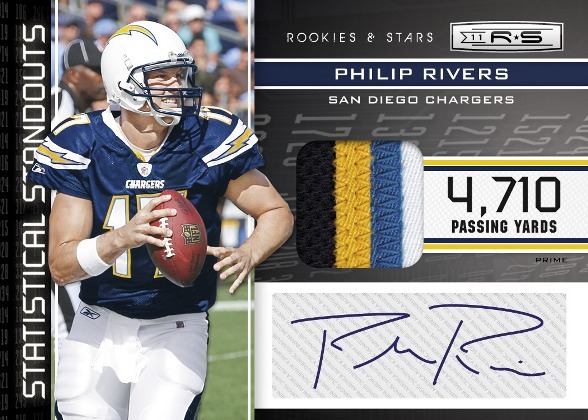 2011 Rookies & Stars Football represents a huge step forward for Panini design wise. For the last couple of years they have butchered design after design to the point where I had to qualify reviews of even their better set designs by saying they were good - by Panini standards. This is the first design since they took over the reins at Donruss that I really feel is on the same level as the other major card company's designs. Rookies are abundant throughout the base set and subsets – as should be the case for a product called Rookies & Stars. This is both a good and a bad thing. The benefits to it are obvious, but the flip is that in order to fill a set with rookies, you have to dig deep into the late rounds of the draft and then scrape the bottom of the barrel to find as many obscure undrafted free agent rookies as needed to flesh out the remaining holes in the checklist. There aren't any legends or Hall of Famers to be found here, but that's an appropriate omission considering the theme of 2011 Rookies & Stars Football. It would have been nice to get some more creative insert sets that incorporated some veteran superstars into the mix more. There's no doubt as to its affordability, and its price to hit ratio looks great on paper. But because it's a rookie heavy product, what kind of value it turns out to be is going to be largely dependent on whether or not the 2 or 3 non jersey swatch hits you pull per box include one of the top draft picks. Despite all the improvements to Rookies & Stars, it wasn't as fun to break as I had hoped it would be. Now, granted, this will vary from box to box, but in my case I pulled all 4 of the box hits within the first 8 packs I opened, making the rest of the break much less exciting. Once I got past the allure of the nice set design, there simply wasn't enough inserts to keep things interesting. Additionally, out of all the rookie cards inserted in the box I didn't pull a single worthwhile rookie, which is not exactly a good sign. 2011 Rookies & Stars Factory Sealed FB Hobby Box Cam Newton AUTO ROOKIE ??? Good:This product contains a deep checklist ideal for set builders. Comprised of 150 veterans and 100 rookies, the non-SP set contains several rounds of draft picks. In addition, there is enough of a chase element to appeal to team and player collectors with 50 short-printed autograph rookies as well as numerous parallels and inserts. Panini has mastered the four “hits" per box for $80 equation and this product is a good example of that. Bad: The brand suffers from a lackluster base card design and too many parallels. Base cards rely too heavily on unused white space to showcase the player image. It leaves an empty feel to the card. 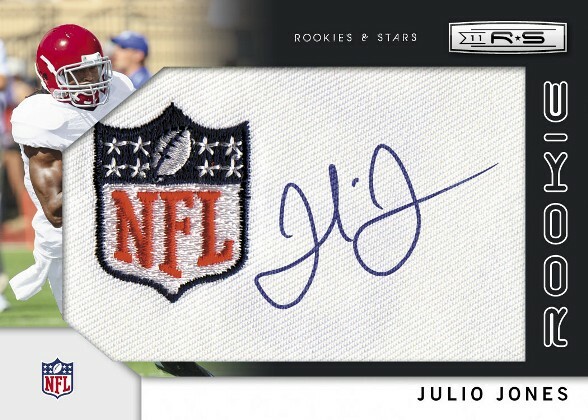 The Bottom Line: Obviously, not every hit in a box can be a first round draft pick, however, with fourth-rounders a part of the autograph checklist, it's a real gamble whether the product will return even half of its retail value. While it's more cost effective for manufacturers to utilize unproven draft picks than retired greats or veteran superstars, there should be a way to ensure that one of the four hits is indeed a notable figure. As previously discussed, the base card design is not appealing. Often times, less is more when it comes to design but this is clearly not the case. The cards just look plain, as if they're missing something. Individual team collectors will appreciate the inclusion of numerous veterans that form small but quality team sets. All of the key, early-round draft picks are included in both the base and autograph checklist. Knowing that star players have emerged from later rounds makes pulling players from the later rounds a bit of an experiment in patience. Most boxes are yielding two autographs and two memorabilia cards with many of the “hits" being rookies. The price point breaks down to $20 per pull but the secondary market value, much like other products, just isn't there to support it. However, there are enough stars, early draft picks and prime material being used in the inserts to make this product worth gambling on. Always a subjective category, the fun factor is often determined by what appeals to individual collectors. If you are a rookie card collector or speculator, this product is a lot of fun. If you are a star collector, on the other hand, not so much. Geared Toward: Rookie Card Collectors, Collectors Who Enjoy Ripping Lots of Packs, Mainstream NFL Fans, Budget Minded Collectors, and College Football Fans. Brand new All-American Patches insert set which features autographs of former college All Americans such as Jones, Kendall Hunter and Randall Cobb atop American Flag Patches. SP Rookie Signatures featuring signed, embroidered team patches featuring the likes of Blaine Gabbert, A.J. Green, Julio Jones and Jake Locker. A checklists of 35 different embroidered rookie patch cards featuring players who attended the 2011 NFL Players Rookie Premiere. Team Chemistry dual autographs which pair 2011 rookies who were drafted by the same team. 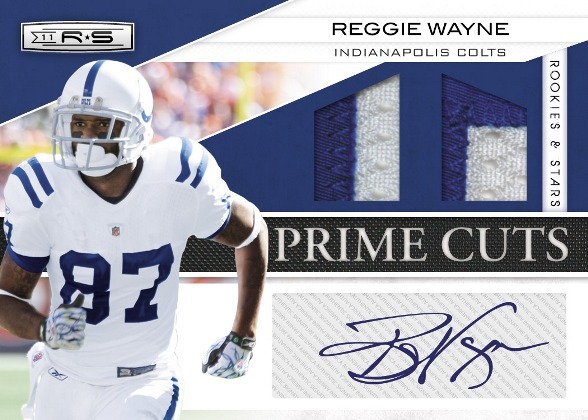 Prime Cuts Signatures embedded with one or two prime game-worn jersey pieces and autographed by top NFL stars such as Aaron Rodgers, Darren McFadden and Matt Ryan. An autograph checklist that includes the likes of Matt Ryan, Peyton Manning, Aaron Rodgers, Tom Brady, Drew Brees, and Adrian Peterson in addition to the latest crop of NFL rookie talent. 2011 Panini Rookie+Stars NFL Football Factory Sealed Box-Look for AUTOGRAPH! Not a bad set, but why are all these sets, basically, the same, year after year. I tend to like sets that feature more photo of the player, than card design…I want to see a football field behind the player, not some arty background…come on Panini…you own all these set liscence now, do something new with them! Rookies & Stars has a good rookie selection, but the cards are just kind of ugly.